Originally issued in 2014 as a digital download EP, The Cover Up was upgraded to a full-length album and released on CD, vinyl and cassette (!) in 2015. For anyone not familiar with The Protomen, they are like a mash-up of rock opera and ’80s-influenced electronic music. Based out of Nashville they play a lot of cover songs (Queen, mostly) and also write their own original songs (generally based on Mega Man video game series). They’ve released a live album of Queen songs in the past but with The Cover Up, the band covers a variety of artists. Iron Maiden, Phil Collins, Styx, Queen, Cyndi Lauper, Patti Smith, Kenny Loggins, Bonnie Tyler, etc. It’s quite an interesting selection but the Protomen make it all work. The group flows seamlessly through these various rock, metal and pop genres. I was especially excited to see the band covers Robert Tepper’s “No Easy Way Out” which is from the Rocky IV movie and soundtrack. It doesn’t disappoint. This one is a major reworking from the original — it’s slowed down a bit and given a mariachi flavor. Very cool. Their cover of Queen’s “Princes of the Universe” from the 1980 movie Flash Gordon is great stuff as well. 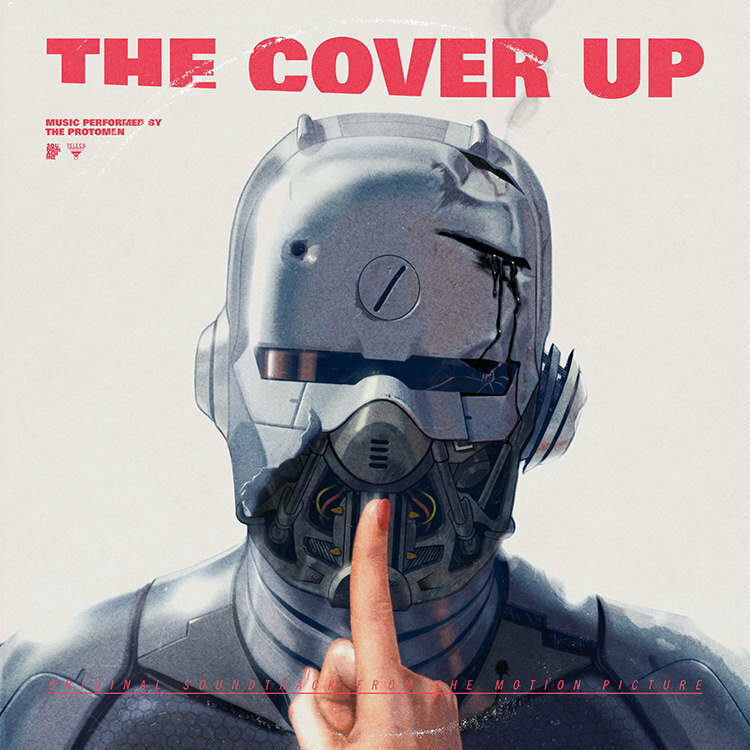 The artwork for The Cover Up is done in a mock movie poster style and technically the full title of this album is The Cover Up (Original Motion Picture Soundtrack). Whether this soundtrack is ever accompanied by an actual movie is anyone’s guess but I’ve read speculation online in regards to a movie happening at some place. In fact, many of the songs covered here originally appeared on movie soundtracks themselves.